2-5 red chilies depending on how spicy you want. Wash and peel the bottle gourd. Cut it into small pieces. Do not discard the peel. You may make chutney with it. Dry roast sesame seeds and make a coarse powder. place a thick bottom pan on medium heat with 1-2 tbsp of oil. 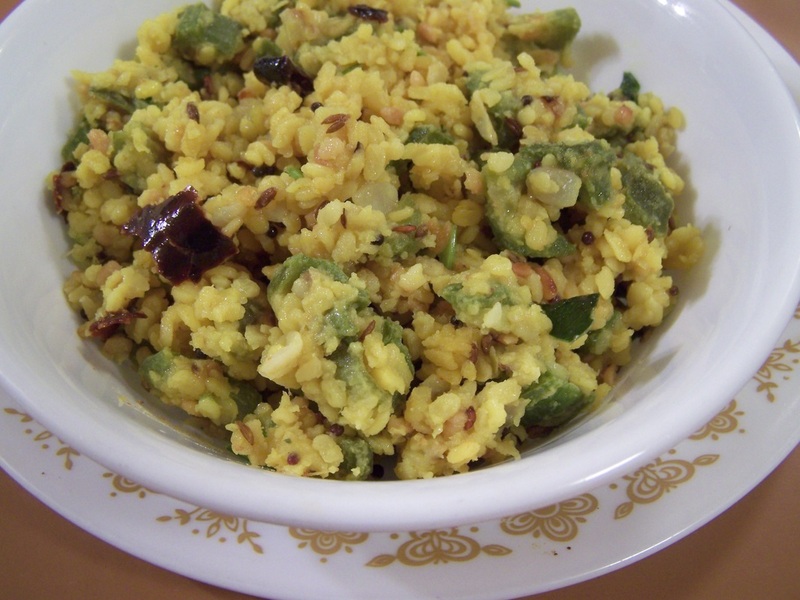 When the oil is hot add chana dal followed by urad dal, cumin seeds and mustard seeds. When the mustard seeds are crackling add red chilies by cutting them into small pieces. Keep stirring. 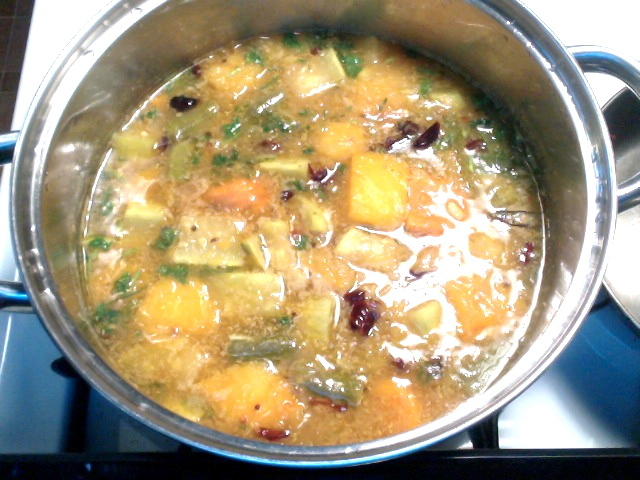 Add hing and curry leaves. 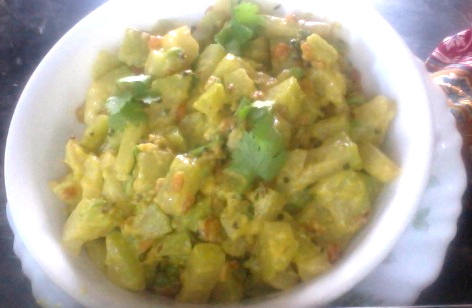 Then add bottle gourd pieces. Mix them well. Add turmeric powder and salt. Mix them again. Cover them and cook on medium for about 5 minutes. After 5 minutes, if the bottle gourd pieces are looking translucent, that means they are cooked well. Give them a stir. Add coarsely powdered sesame seeds and give it a good stir. Turn off the stove and mix in the cilantro. You may serve it with rice or chapati. 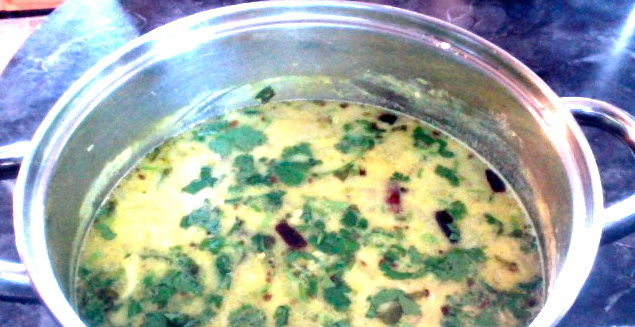 Enjoy heart friendly bottle gourd curry.